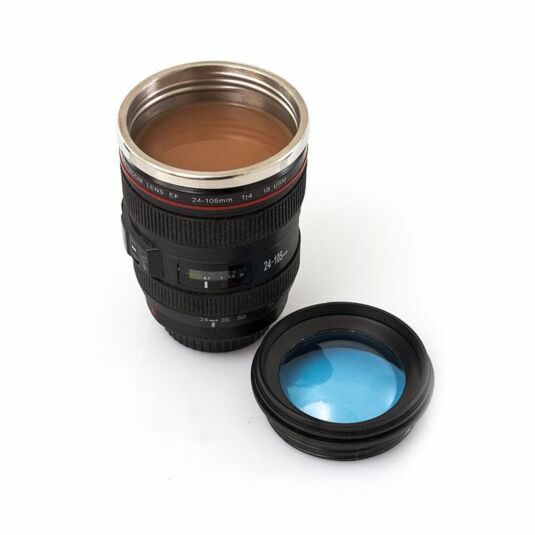 This fantastic accessory is great for on the go or in the office, the Camera Lens Mug is a 1:1 scale of a real camera lens, an awesome gift for anyone into photography or likes something a bit different, Ideal for hot and cold drinks. 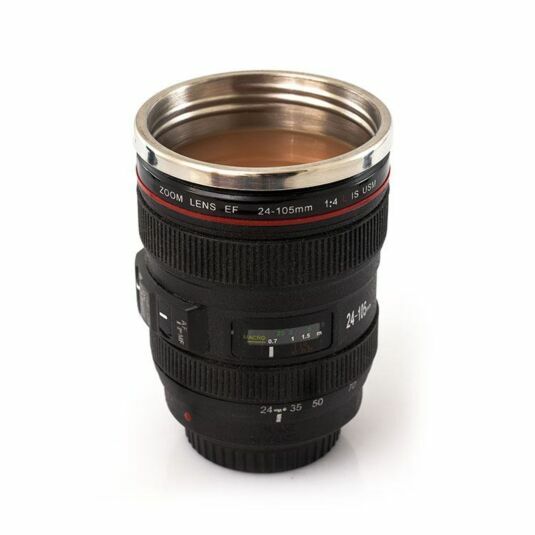 At a glance you would think this is a real camera lens, it can be rather confusing when you see someone drink from it. It has a plastic outer and stainless steel inner; on top it has a screw cap lens lid with silicone seal, making it effective for transport. 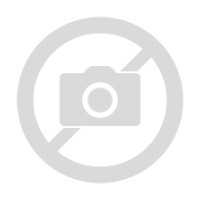 It has everything a real lens has; it has the switches for focus modes and image stabilizer. 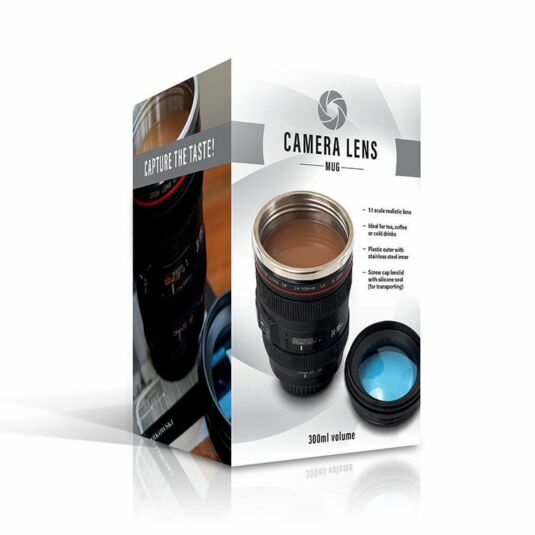 This is a great gift for any avid photographers you may know, siblings, partner or parents, a perfect gift for birthdays and Christmas.